LG Malaysia has officially announced that for the first time in a while, its flagship smartphone will be available in Malaysia. 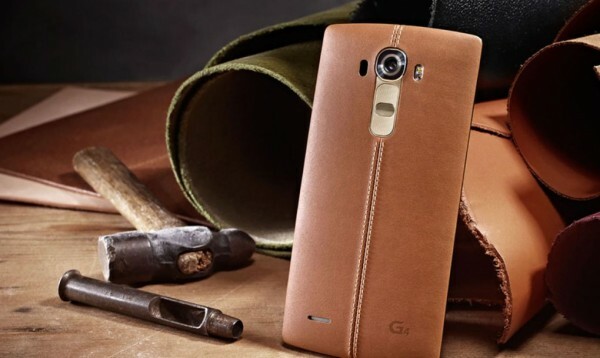 Starting from tomorrow, the LG G4 will be available in stores nationwide for RM2,499. The G4 is the South Korean company’s latest flagship smartphone. Powered by a hexa-core Qualcomm Snapdragon 808 1.8GHz processor with 3GB of RAM, the G4 packs a 5.5-inch 2K (2560 x 1440) IPS Quantum Display with Gorilla Glass 4. Camera wise, there’s a 16MP laser AF rear camera sensor with OIS, while at the front the G4 packs an 8MP camera. Inside, there’s 32GB of internal storage with a microSD card slot that supports up to 128GB cards, and a 3,000mAh removable battery with Quick Charge technology. Running on Android 5.1 Lollipop, the G4 weighs 155g, is 9.8mm thin, and uses a nano SIM slot. It also has a genuine leather back cover, a first for consumer-grade smartphones. In Malaysia, the G4 will retail for RM2,499 inclusive of GST starting from tomorrow, and will be exclusively distributed by Zitron. Colour choices are also limited to just the Black, White and Red in genuine leather. For a limited time only and while stocks last, every purchase of the LG G4 will come with a genuine leather quick cover case and battery charging kit for free – both are worth a total of RM580. The battery charging kit consists of a spare G4 battery and a case that doubles up as a charger. You can read more on the charging kit here. Those interested can look for physical retail outlets that have the G4 in stock from tomorrow via LG Malaysia’s store finder – since Zitron is one of the largest distributors in the country, there’s a huge list of retailers throughout the country.